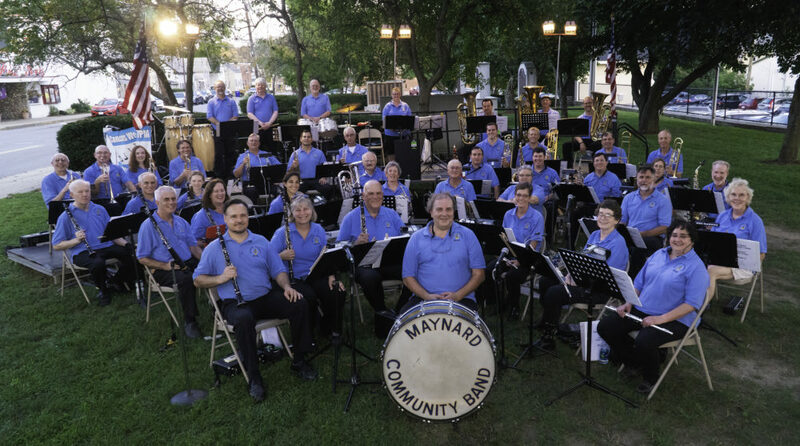 Wednesday Night Rehearsals Now at Fowler School | the "MAYNARD COMMUNITY BAND"
The Maynard Community Band rehearses in the band room of the Fowler Middle School, 3 Tiger Drive in Maynard MA on Wednesday evenings from 6:45-8:45 until further notice. We are extremely grateful to have access to this wonderful rehearsal space with such great acoustics. We thank the town of Maynard, the school department and the custodial staff for their hard work and commitment in allowing to make this happen. To get to rehearsals, please follow these directions to the band room in Fowler School. In the event of inclement weather or changes to the schools’ schedule, rehearsals will either be cancelled via email or, if the school is open, relocated within the building. Check the schedule of upcoming events for up to date information.